I have decided this week to write about cooking, reheating, boiling and not boiling water for your baby/toddler as it is still question that many parents have. I think the most common question I get is whether to boil/steam foods and if they are older whether its okay to roast. 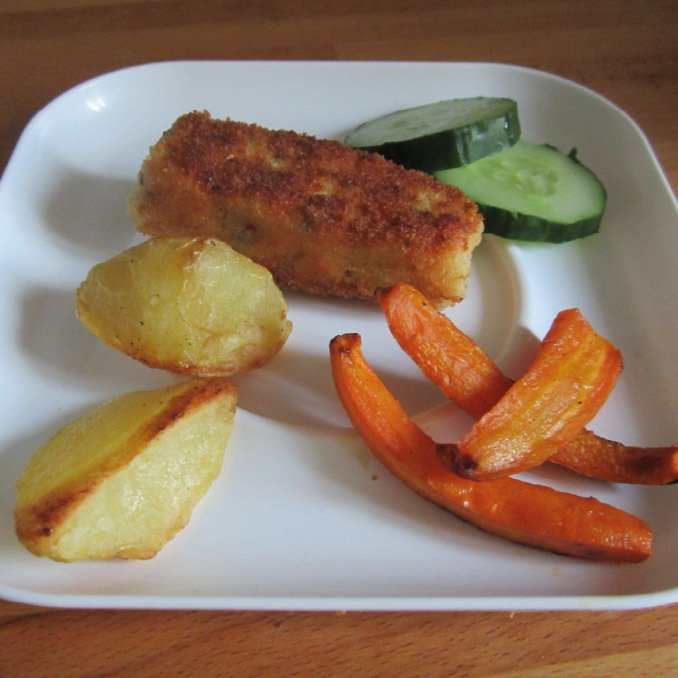 There are no specific guidelines on the cooking methods for children and as this mainly depends on whether you are using the baby led weaning approach (see my previous blog entry under Introduction of Solids) or whether you are introducing solids in the more traditional way (i.e. puree and then lumpy). Of course with cooking, you will loose some of the heat sensitive vitamins, but its important initially to have a texture that is suitable for your child. In particular in the initial phases of weaning, vitamins and minerals will come mainly from breast milk or formula, so cooking the vegetables for example really softly (i.e. very long) to a manageable texture is not going to lead to vitamin deficiencies. As a side, energy/protein/carbohydrate and fat content does not change with heating and most minerals (i.e. calcium) are heat stable. In regards to equipment, I find steamers really useful and of course a good hand-blender. There are many baby steamers that have integrated blenders. I have tried a couple and find most okay, but when you want to prepare bigger volumes for freezing for example, I find their container size quite small. So before you go an buy something special, think about the future and whether you envisage cooking fresh each day (then smaller container makes sense) or making larger batches. When it comes to the texture, if its too thick you can either add your breast milk, formula or the cooking water to thin it to a texture tolerated by your baby. However, if you are planning to freeze these in batches, its better to not add your breast milk/or formula to the foods you are freezing but rather do this fresh after reheating. Okay, so now to cooking and reheating. Firstly the cooked food should be cooled as quickly as possible and then frozen and then place this into the fridge or freezer. Foods kept in the fridge, should be eaten within 2 days. Foods that are frozen should ideally be defrosted first (for example take out and place in fridge) and then reheat to piping hot and let it cool down to a temperature tolerated by your baby. I get a lot of questions about using the microwave. Reheating in the microwave is not ideal, as it often creates heat pockets and areas that are not properly heated. If you want to use the microwave, then stir the food whilst heating so that you make sure that all areas are properly heated through. Foods that have been reheated and not eaten should not be reheated/used again. More information on this is on this NHS website. In regards to water; in the UK we follow the WHO guidelines for mixing of formula, which is to mix formulas with cooled boiled water that is about 70C. You reach this temperature after boiling the kettle and letting it stand for about 30 min (see this site for more information). Fully breastfed babies do not need any water until they’ve started eating solid foods. Bottle-fed babies may need some extra water in hot weather. For babies under six months, use water from the mains tap in the kitchen, boil this water and then cool as per guidelines above regarding temperature. Water for babies over six months doesn’t need to be boiled, however if your child is immunocompromised (has an illness/diagnosis effecting their health) then you may be advised by your healthcare professional to boil until 1 year of age. Bottles and teats need to continue to be sterilised until a baby is 12 months of age. Bottled water is not recommended for making up formula feeds as it may contain too much salt (sodium) or sulphate. It does however happen when travelling that tap water is not safe and you do not have a choice. If this is the case, its best to have a discussion with your healthcare professional to discuss which bottled water has low sodium and also how to establish what is high/low sodium as your healthcare professional may not know the names of bottled waters outside of UK/EU. This website may be useful for you.